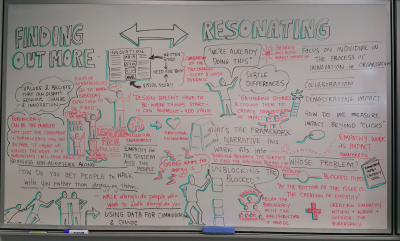 Design for Social Innovation – towards an integrative practice. 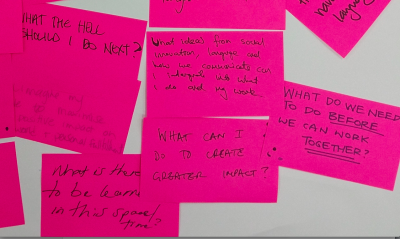 Some of the questions asked by participants at the beginning of the Design for Social Innovation symposium in Auckland in July. 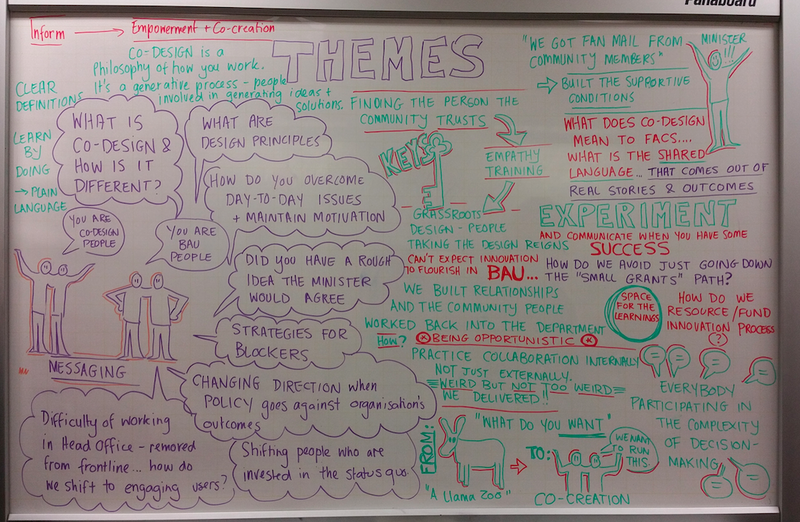 Well the NZ design for social innovation symposium has been and gone for 2015. As has the more recent D4SI series of workshops in Sydney, Perth and Adelaide. Both these events, along with the earlier DESIAP event give a bit of a picture of the kind of energy and activity happening in our region around the role and application of design-led approaches to social purpose. Another event at Seafarers this week in Auckland also puts the spot light on Design for Social Good. All these events have explored the value and benefits that design-led approaches can bring to social challenges. We’ve discussed for example the potential for more diverse and inclusion forms of participation and collaboration; starting with questions and “not knowing” rather an answers; and the use of prototyping and a “test and learn” approach to help develop better responses with those impacted. In all cases we’ve taken a critical lens on this, trying to talk deeply from experience and from the perspective of “doing”, what’s working and what isn’t – rather than hype. Questions and things that resonated for participants in the Sydney Design 4 Social Innovation workshop in September 2015. 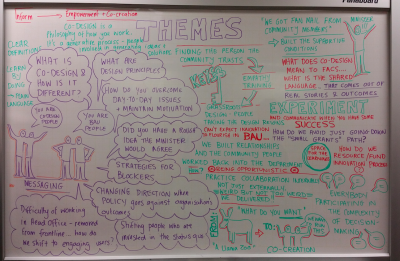 Themes that emerged from the Sydney Design 4 Social Innovation workshop in September 2015. While I am excited about the potential of design, to support collaboration and participation in particular, I’m still more interested in the gaps within design practice, and the things that we need to develop or draw upon from other disciplines in order for design to have greater impact. I’m interested in the practices that we are developing that sit at the intersection of different disciplines and practices (the design, social, impact triangle of DSI for example). This represents the emergence of a more integrative practice that respects and draws on the most useful things from across different kinds of evidence bases and knowledge, and builds new things at the intersection. The framework for Participatory Design developed with Young and Well CRC is I believe, one example of this, (bringing together traditional evidence-based medical design models with participatory design models). It’s important because it is something far richer than design that we need to work confidently with complex and systemic challenges. For example what can we learn from the field of evaluation and other areas of social research for example? From systems design and sustainability? What can we learn from Te Ao Maori? 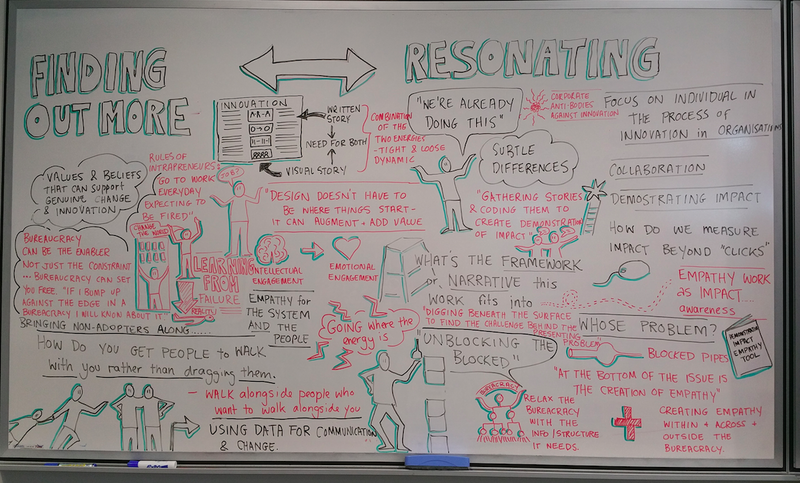 And what does it mean to do co-design in Aotearoa? How can we together develop our understanding of what participation in this context means? What does an “ethical practice” look like? What is the social innovation equivalent of ethics committees? We are starting to explore the intersection of policy and design here in NZ, and there is increasing interest in how we respond to the ethical and safety questions raised by increasing use of design-led approaches within social and health contexts and the mash up of Lean, agile and design and wellbeing. The DSI Network – which has grown out of the Design for Social Innovation Symposium this year, should hopefully be one platform where we can continue to explore these questions as a growing community of practice. Jump on the mailing list or send us a message if you’d like to be involved.